Cars — like life — are about compromises. You can drink a lot of beer, eat a lot of Chinese takeout – or look good in a bathing suit. But there are a few cars that do not compromise anything while delivering everything. The Mercedes S63 AMG is one of these. It is stately and athletic — a road-going first-class suite on the Titanic with the moves of a nitro-burning speedboat. It is even to some extent a bargain — relative to its rivals — and given what you get. And given what it can do vs. what they can’t. Mercedes’ ultra-luxury sedan in an ultra-performance version. Start with a car that weighs almost twice as much as a Corvette, which is nearly twice as large as a Corvette and that seats twice as many. Now — somehow — make it quicker and faster than the Corvette, while also offering such amenities as a reclining (and massaging) rear seat with its very own ottoman. Scent dispenser in the glovebox. Twenty-six speakers spread throughout. Fridge in back. Magic Sky sunroof above that can be electrically dimmed at your pleasure. Infra-red night vision for the driver. Energizing Comfort System to cool/warm/soothe/massage all the occupants in synchronized opulence. All the way to nearly 200 MPH. The miracle ingredient is a hand-built 603 horsepower twin-turbo V8 (signed by the master technician who hand-built it) that makes almost 150 hp more horsepower than a Corvette’s V8, enabling it to out-accelerate the Corvette to 60 and outrun the ‘Vette on top while swaddling you and three or four of your choicest friends in all the aforesaid opulence and amenities. It does, of course, cost about three times what a Corvette does: $147,500 to start (and close to $200k with all the available opulence and amenities) vs. $55,495 to start for the Corvette. It’s the one compromise you’ll have to make. The 2018 S63 gets restyled headlights, grille and front and rear clips as well as updated software and apps for the COMAND interface, which controls most of the car’s features and amenities. A wireless smartphone charging pad for the rear seat occupants has been added, too. Rear passenger flat screens aren’t touch screens; you have to use remotes. Backseat ‘fridge (optional) eats up some trunk space. This car is a drug. Once hooked, it’s not easy to give it up. How do you get almost 5,000 pounds of full-size Mercedes sedan to 60 in 3.4 seconds? Speed is just a question of horsepower. And to get 5,000-or-so pounds of full-size S-Class to 60 in 3.4 seconds (a Corvette needs 3.7 seconds) you need exactly 603 horsepower. And 664 ft.-lbs. of torque. That’s the power produced by the S63’s hand-built 4.0 liter V8. It is a very small V8 — but then, so are Indy car V8s. They both make very big horsepower and torque numbers on account of pressurization. The S63’s V8 has a pair of turbochargers bolted to it, nestled in between the V8’s “V,” actually. These boost the effective displacement of the 4.0 liter V8 to probably right around 6.3 liters, which may account for the S63’s badging. Why not just go with 6.3 liters of V8, then? Well, the turbos are both power-enhancers and displacement replacers. One is for fun, the other is becoming necessary. More power obvious — everyone wants that. And the turbos deliver it — especially power as measured by torque. The turbos compress the incoming air and force-feed it to each of the eight cylinders, resulting in a much higher-pressure bang. Which accounts for how the 5,000-plus pound Benz outruns the bigger-engined (and lighter) Corvette despite the roughly 2,000 pounds of extra weight the Benz is carrying. But the smaller-engined Benz is also capable of 17 city, 26 highway — spectacular fuel efficiency for a 5,000-plus pound sled with a 600-plus horsepower V8 under its hood. And better mileage than the Corvette’s bigger and not-as-stout engine delivers (16 city, 25 highway). Which is slightly embarrassing . . . for the Corvette. Remember: The Benz is thousands of pounds heavier and still quicker and able to carry four of your friends to 60 in 3.4 seconds. It is also much better mileage than the Benz’s primary rival, the BMW M760 — which has a 6.6 liter (and only 601 hp) V12 that gulps down premium unleaded fuel at the rate of 13 MPG in city driving and 20 on the highway. Not that people who buy cars such as these have to care much if at all about the cost of gas, whether premium or unleaded regular — nor how much their car consumes. But there is convenience to consider. The S63 — which also gets a larger (24.6 gallon) gas tank than the standard S-Class — goes farther on a gallon. This means having to interrupt one’s travels less often. There is also the government angle to consider. Most people know about the fuel economy edicts — the government decrees which punish any car company (and so, its customers) if its “fleet average” fuel economy is less than such-and-such a number (currently about 35 MPG). Big cars with big V8s hurt the average in much the same way that getting a D in Spanish back in high school hurt your GPA. This is why you don’t see many big cars with big V8s anymore — even at this level. Lexus, for one, has dropped the V8 from its flagship sedan, the LS — which now offers a twin turbo V6 instead. But it’s the other edict — the one which characterizes carbon dioxide as an “emission” — which is really putting a hurting on big engines, which necessarily inhale a lot of air all the time and so emit a lot of C02. By making a smaller engine with on-demand displacement enhancement via turbos, you reduce the amount of air being inhaled some of the time and so the amount of C02 being produced some of the time. Lemonade out of Uncle’s lemons, essentially. And — bless Benz — the S63’s small V8 makes even more power than the previous S63’s much larger (5.5 liter) V8, which crested at 577 hp. I’ll drink to that — and so should you. AWD — like the V8, specially modified and exclusive to the S63 — is standard and it’s a good thing it is. Without AWD, the acceleration potential of those 603 horses and 664 ft.-lbs. of torque would either go up in smoke or keep the traction/stability control almost constantly occupied trying to keep the Benz from going sideways coming out of the gate. Cars like this one are approaching the powerfulness of race cars. But race cars usually race under optimal conditions for racing. Out on the road, it often gets wet. Traction decreases — and you either have to dial it back or the car does it for you. With AWD, you can get to 60 in 3.4 seconds almost regardless of conditions. That is something you can’t do in uber-powerful rear-drive machinery, which includes the Corvette. In the wet, you’d better drive it slow. It’s not, as the saying goes, rocket science to build a fast Corvette. Building a faster-than-a-Corvette S-Class, on the other hand, is. And without compromising the stateroom serenity one expects of an S-Class? That is nothing less than genius. Settle yourself into the wide-bottomed, ultra-plush seats — which not only offer half a dozen different massage programs ranging from Hot Relaxing Back to Mobilizing and Energizing but also feature active side bolsters that apply gentle pressure to counteract cornering forces as you go — so as to preserve your equipoise as the car corners. But don’t fall asleep just yet. Try out the accelerator pedal. Try out the steering wheel. Did it just do that? Holy crap!! &*!! How the ****! Bear in mind how big a car this is. Almost 18 feet long (208.5 inches) from the three pointed star above the grille to the quad-tipped exhaust out back. A Corvette is several feet shorter (177.9 inches). And yet, the Benz will keep up with the ‘Vette. America’s Sports Car gets through the corners faster, than Germany’s luxury elite machine — which it should given there is literally a lot less of the Chevy. The Benz needs a bit more time for its back half to cover the ground the front half just gobbled up. But once the road straightens out, the S63 makes up for lost time. The Corvette can run — but it can’t hide. No matter how fast it goes, the S63 manages to go even faster . . . and smoother. That is what you’re paying Mercedes (and AMG) money for. At first, from a standstill, there isn’t as much drama — as there is in two-door (and RWD) supercars. The combination of AWD, almost 5,000 pounds and a not-fierce 2.82:1 final drive ratio see to that. The rear tires don’t light up; your neck isn’t violently snapped backward. But a moment later, you feel a sensation comparable to being whisked up to the 115th floor of a skyscraper in a high-speed elevator that accelerates upward not one floor at a time by several at a time. A pleasant compression is felt — except it’s horizontally applied rather than vertically. Fire your chiropractor; he is no longer necessary and besides, he’s not going to ride with you to work every day. All of this while bathed — literally — in the cheerful, ethereal glow of the car’s full-length flat screen instrument panel and ambient door panel/footwell and pretty much everywhere else accent lighting, enjoying a massage while you’re at it and perhaps Tannhauser on the pitch-perfect 26-speaker Burmester sound system. The V8 is maybe a little too quiet, if that qualifies as a complaint. You can turn up the volume of the exhaust — but just slightly — via the individually configurable performance menu. Very few will believe what this car can do by listening to it idle. Floor the accelerator and they will never doubt again. All versions of the S sedan are now limo-style long-wheelbase (124.6 inch) and that includes the S63 — which means that the backseat riders get even more legroom (43.4 inches) than the driver and front seat passenger (41.4inches). This is perhaps the appropriate moment to point out that one of the Benz’s rivals as far as power and performance — the $122,400 Jaguar XJR sedan — cannot even be ordered with luxury amenities such as massaging seats, and the superb Meridian sound system that is available in other XJs and comparable to the S63’s 26-speaker Burmester rig is likewise unavailable in the XJR. Which is also a smaller (202 inches long overall) car. Similarly the Porsche Panamera — which is even smaller (198.8 inches) and only seats four, the backseat occupants seated unusually in a kind of knees-bunched attitude, kind of like Lord Pakal, the Mayan ruler of Palenque — whose stone sarcophagus depicts him similarly posed. This fits because the Panamera is a four-door 911, basically — and very quick as well as phenomenal in the curves. But it’s not as impressive a roller as the S63 — and unless you spend the almost $190,00 Porsche wants for the Turbo S E-Hybrid, it’s no quicker, either. The BMW M760 is closest, but not quite there. It is almost as big a car and the luxury amenities compare favorably. The V12 imparts cachet, certainly. There are only about a half-dozen cars left in the world that still offer more than V8s. But the BMW’s V12 doesn’t offer more power than the S63’s V8 and yet BMW asks nearly $10,000 more for it ($156,700 vs. the S63’s $147,500). There is also the coming-soon (2019) Audi S8. It will up the ante with a W12 engine (two V6s, blended) and — possibly — performance and luxury on par with the S63. But for now, it’s like Sinead said. Nothing compares . . .
It’s an S-Class, after all. So the S63 has a boatload of driver “assist” features — including automated emergency braking, lane departure warning and even a drowsy driver alert (get some coffee icon appears in the center gauge cluster. All of the foregoing are expected in a car operating at this level, especially given many cars operating at much lower levels also have such “assist” features. What is unexpected is the lack of peremptoriness here. It is easy to forget the “assist” are there. They intrude rarely, if ever — and can be turned off, too. This is immensely calming — which is extremely luxurious, too. No assaults by buzzers and lights; even the buckle-up seatbelt chime is peaceable. As a counterpoint, the BM’s safety systems can be and often are belligerent and peremptory. Stealth Mode paint schemes are available. These are matte/flat non-reflective finishes that basically look like a standard silver or charcoal without the shiny clear coat. It’s an interesting look that’s growing in popularity as the finishing touch for very powerful cars, perhaps because it makes them less visible cars. The one S63 deficit is a fairly small for a full-size sedan trunk: 16.6 cubic feet — and if you opt for the rear seat ‘fridge, you will find a big box (the refrigeration unit) inside the trunk. As a counterpoint to that, the BMW M760 has an 18.2 cubic foot trunk. Owning an S63 is like eating General Tso’s every night, never going to the gym — and still looking like Megan Fox. Or — better — having her as your girlfriend. 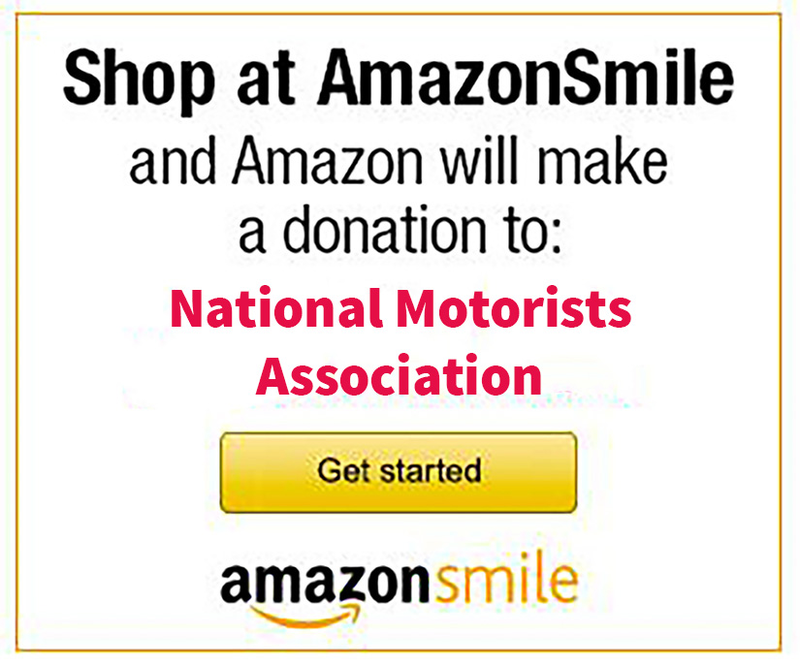 The Eric Peters Car Review is sponsored by the NMA Foundation, a 501c3 nonprofit organization dedicated to protecting your interests as a motorist and citizen through the multi-faceted approach of research, education, and litigation. The Foundation is able to offer this assistance through tax-deductible contributions. No More Horsepower for You!